The traditional fairy tale about the princess and the pea has a new twist. 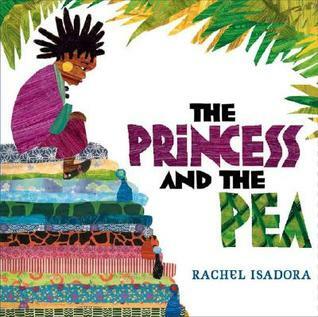 This tale takes place in Africa where the prince searches for a real princess to marry. He meets princesses in Ethiopia, Somalia, and Kenya, but none of them is quite right for him so he returns home without a princess. Then one stormy night a beautiful princess arrives at their door soaking wet. The Queen gives her the pea test under twenty mattresses and twenty feather beds. The next morning when the princess says she couldn’t sleep a wink, the Queen is convinced that she is a real princess and the Prince took her for his wife. Kitty Princess was extremely rude. She shouted orders day and night. One morning her Fairy Godmouse had enough. 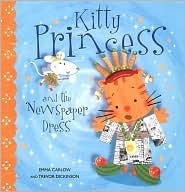 She refused to make Kitty Princess a new dress for Prince Quince’s ball that night. Kitty Princess was sure she could do it herself and went into town to do her shopping. She ordered new shoes from the fruit and vegetable vendor, new jewelry from the waitress at the diner, and a new gown from the newspaper man. That evening when she returned to pick up her purchases, she was very surprised to see the creations they had made for her. At the ball she was embarrassed at not being allowed inside with such a ridiculous outfit. She cried for her Fairy Godmouse and apologized for her rude behavior that morning. As she apologized to everyone she had been rude to, each piece of her outfit turned into the most dazzling thing imaginable. Once inside the ball, Prince Quince rudely ordered Kitty Princess to dance. Instead, her Fairy Godmouse turned him into a frog! Princess Paulina’s father gave up his thrown to become a woodcutter, leaving her a pauper. Then one day she heard the news that the Queen of a neighboring town was seeking a true princess for her son Prince Drupert. Paulina unpacked her best gown and crown and hurried to Queen Zelda’s palace. There she had to pass several tests to prove that she was a true princess. The last one was a cooking contest between her and two other princesses. The princess with the long hair tripped her and the princess with the seven little men helping her got all the best ingredients in the kitchen. The only things left were flour, a hard chunk of cheese, and a few soft tomatoes. 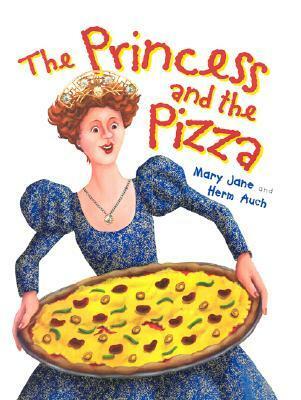 Using the garlic and herbs she had tucked into her bag for good luck, Paulina created the winning dish… however, she realized she really didn’t want to marry the prince and opened her own pizzeria instead. Now the only thing she has to worry about is getting Queen Zelda as a stepmother!